When we first catch sight of her, waiting at a Greyhound Bus stop in the mountain hamlet of Spruce Pine, North Carolina (which actually exists, by the way), the eponymous 25-year-old heroine of Violet looks like any young woman on the verge of an adventure. What we can’t see is, ironically, what’s most obvious to the people she meets over the course of this 1997 musical set in 1964: a grotesque facial scar, the result of a freak accident she suffered as a child. Desperate, even somewhat delusional after a dozen years of watching people flinch at the sight of her, Violet is hopping the bus to Tulsa, where she hopes a TV preacher will give her the miracle of Gene Tierney eyes and a Grace Kelly nose. But of course it’s the journey that counts in situations like this, not the destination. Violet fights it out with her memories as she rides along, meanwhile striking up a wary, combative friendship with a pair of GIs, Monty and Flick, whose preoccupations include Vietnam (Monty) and black skin (Flick). A good many things fail to ring true in this Griffin Theatre production. A certain romance, in particular, comes off seeming more necessary than believable. 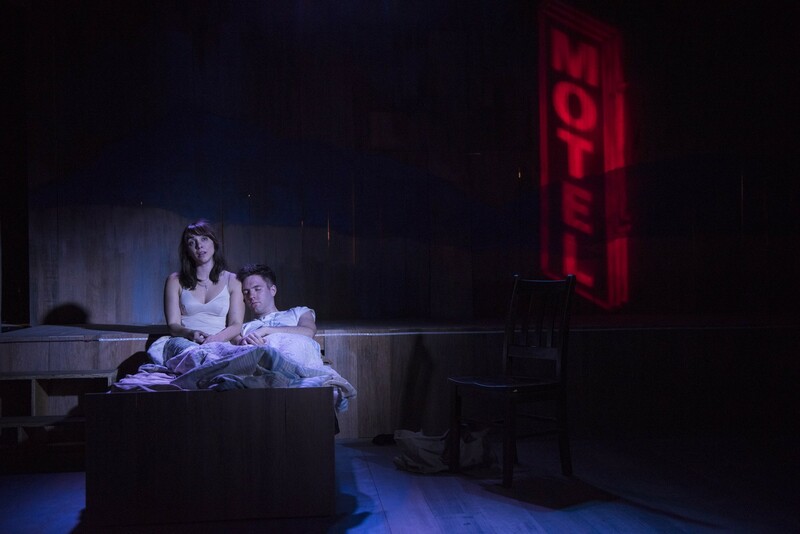 Still director Scott Weinstein and his strong cast get at the pain and longing present in Brian Crawley’s book and Jeanine Tesori’s Appalachian-influenced music. (Fans of Tesori’s better-known Fun Home will be interested in how much of that musical is prefigured here.) Set designer Lauren Nigri and choreographer Kasey Alfonso do wonders in a small space, and a gospel passage led by LaShera Zenise Moore pretty much stops the show. Violet Through 1/13: Thu-Sat 7:30 PM, Sun 3 PM (no shows 12/24 and 12/31), the Den Theatre, 1333 N. Milwaukee, 773-697-3830, griffintheatre.com, $37-$42.